Christmas might still be some time away, but this does not mean that you do not need to make any kind of preparations in advance. With the $16.95 USB Christmas Tree in tow, you will be able to enjoy the Yuletide season all year long – never mind having to wait until December to do so, how does that sound? Of course, the rest of your family and friends will probably think that you are missing a few marbles, but you know a whole lot better, don’t you? 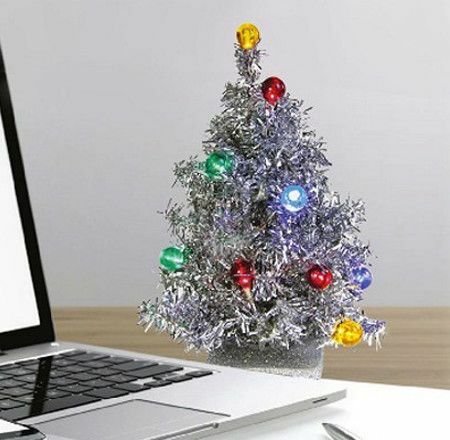 The USB Christmas Tree will make everyone feel right at home, where it sports a bright, silver tinsel tree that has multi-colored lights and a 6″ long USB cable.